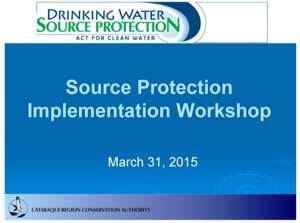 The Cataraqui Source Protection Plan became effective on April 1, 2015. Before the effective date, CRCA staff hosted a workshop for local municipalities and health units to ensure that they were well‐prepared for implementing the Cataraqui Source Protection Plan. 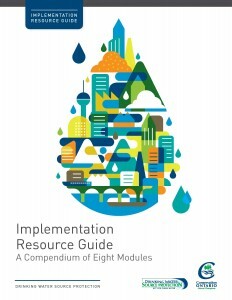 CRCA also provided tailored training sessions for municipalities about their individual implementation responsibilities, and guidance documents about certain types of policies in the Plan (e.g. stormwater management and groundwater). Since the effective date, the Province, municipalities, local health units, and CRCA staff have been hard at work to implement policies in the Plan, and keep our sources of drinking water safe from contamination and overuse. To find out more about the types of resources that are available to support drinking water source protection, please check out the links below. 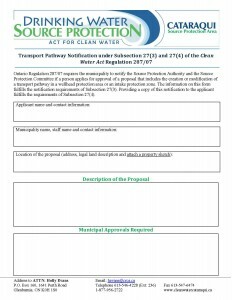 This page will be updated as more resources become available during the implementation of the Cataraqui Source Protection Plan.